I really, really, really enjoy books about spies and this one definitely has a fascinating element to spies in this book. We often hear of Benedict Arnold, who was the British spy, and Nathan Hale, who was hung for being an American spy, but we rarely hear of any other spies in the Revolutionary War. 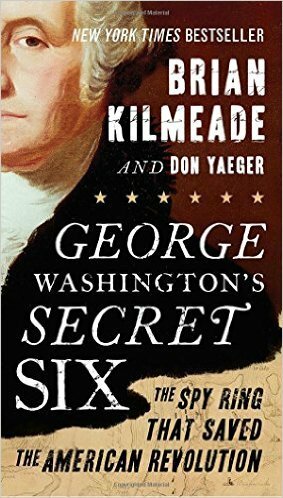 This book discusses the spy ring that George Washington helped set up and it spends some time talking about the British spy ring. This book may take a chapter or two to get into, but it is definitely worth the wait because it has many mysterious elements to what may have been occurring in the Revolutionary War spy ring.